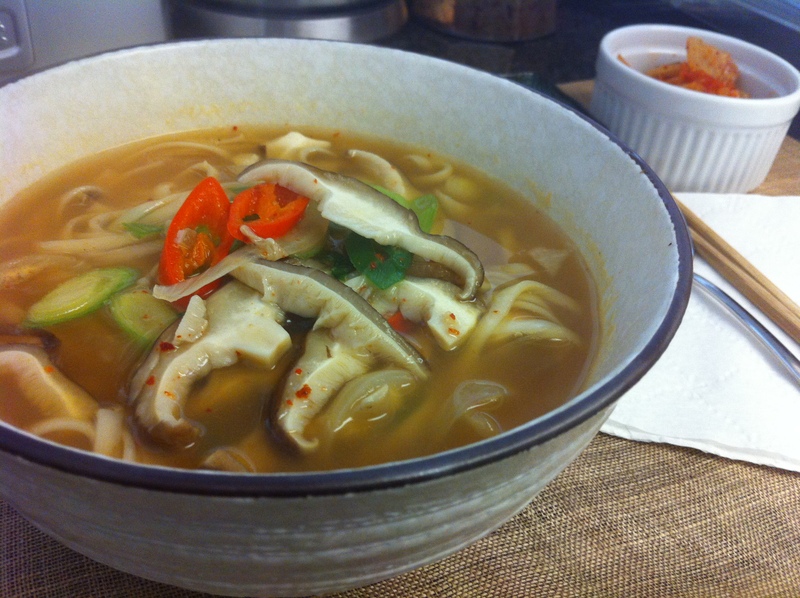 I made a delicious and fast (if you already have sagol broth) noodle soup with sagol broth or bone marrow broth. In fact, it was my first time experimenting with this dish and came out so yummy, it became my favorite noodle dish. It only took about 15-20 minutes and was simple to make yet extremely satisfying. This dish came from a few inspirations, a Korean TV show that featured a famous restaurant in Seoul that specializes in a noodle soup with beef/bone marrow stock and my favorite restaurant in Seoul, Hanwoori (한우리) that has the best guksoo-jeongol (국수전골, beef noodle stew). You can make it spicy or mild. Bring the sagol broth to a boil. In the meantime, cut the vegetables. 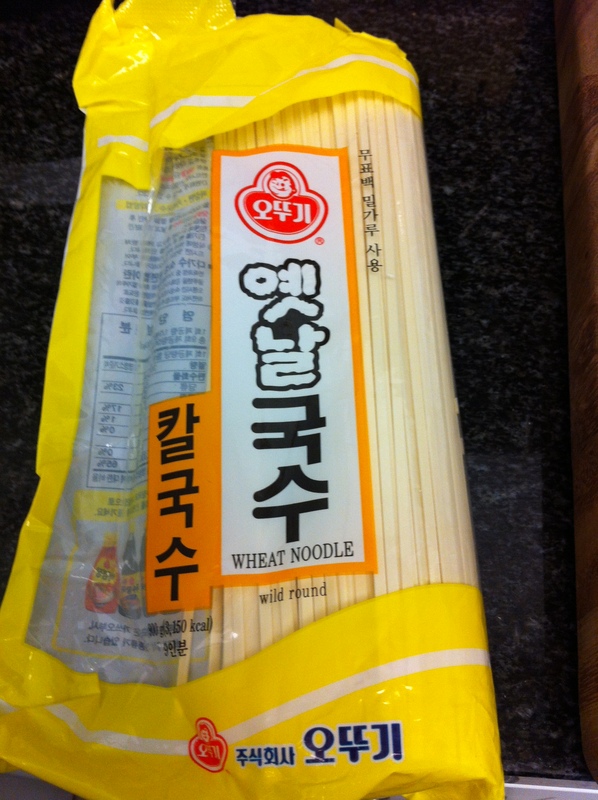 Add the kalguksoo or Korean wheat noodles, onion, garlic and mushrooms. Cook the noodles according to package instructions. I used the dried kind, so the total cooking time for the noodles was 8 minutes. 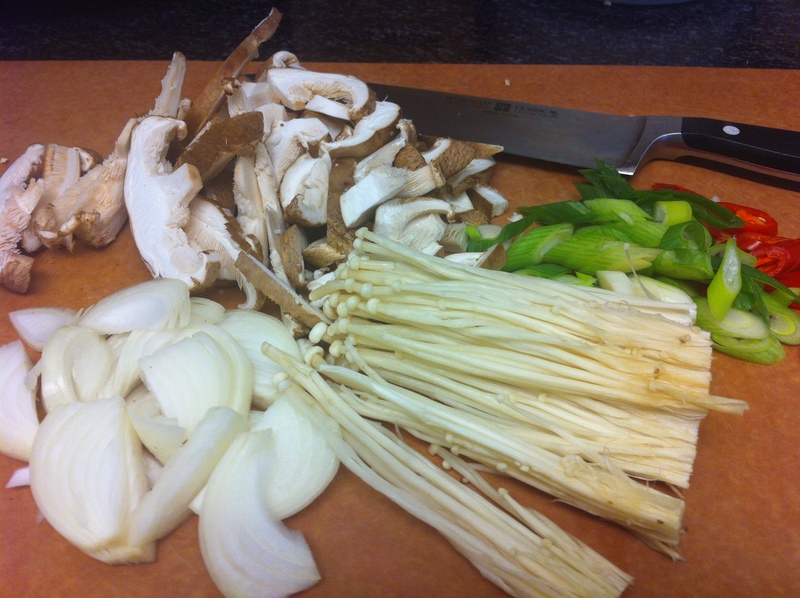 When the noodles are about 2 minutes shy of being fully cooked, add the scallions and season with salt and pepper. 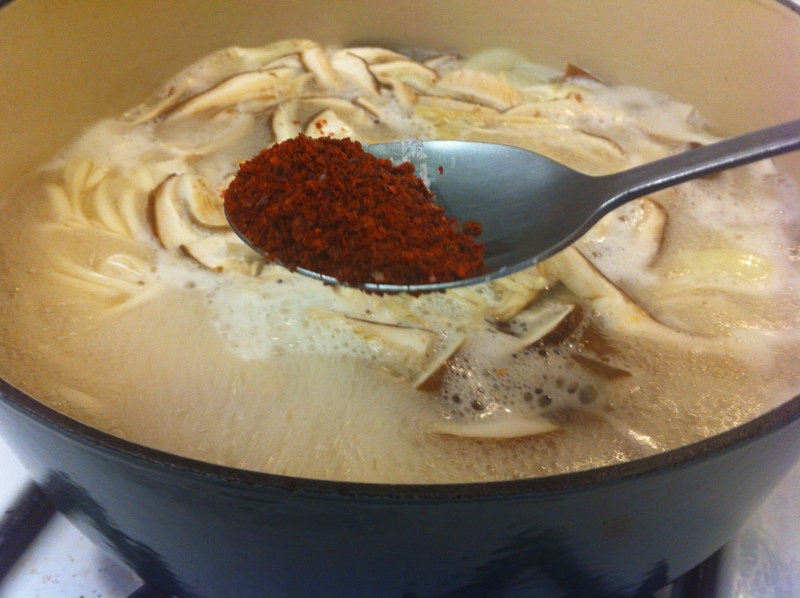 Add the gochugaru (고추가루, Korean red pepper powder) and red chili. You can skip the gochugaru and red chili if you don’t like it spicy. Another option is if you have family members who like it spicy and others who don’t like it spicy like children, simply serve the non-spicy sagol-guksi first. Add the gochugaru and red chili at the end and serve the spicy version. 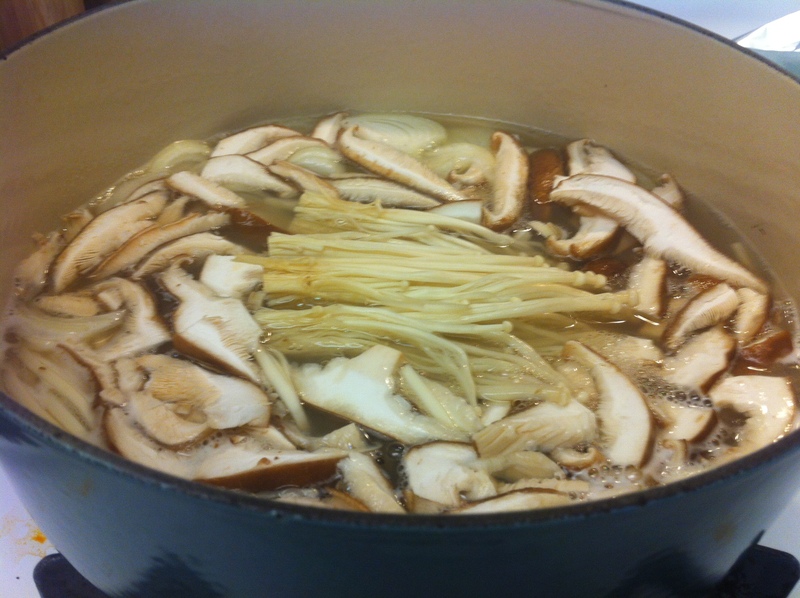 The gochigaru only needs a minute or two to cook in the soup. 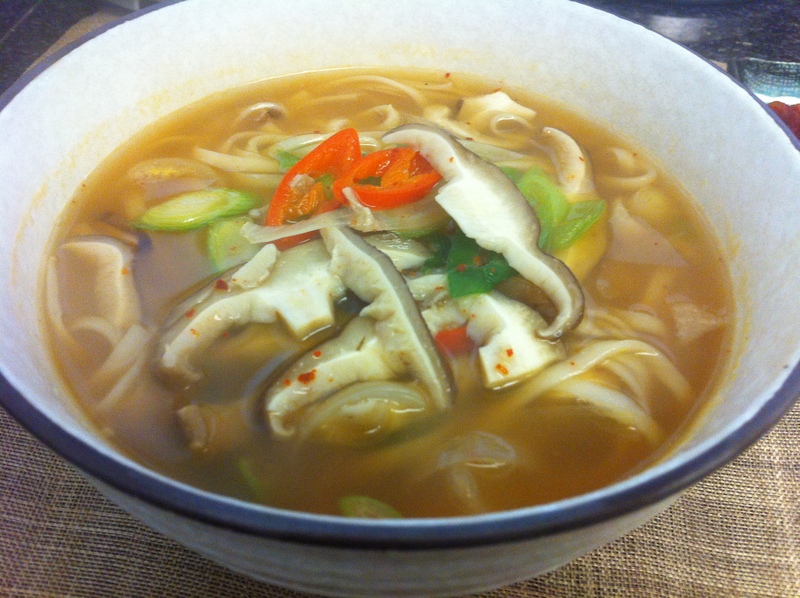 This entry was posted in Good for dinner, Good for lunch, Noodle Dish and tagged beef bone broth, bone marrow broth, kalgoo, mushrooms, Sagol-guk by gangnamkitchen. Bookmark the permalink. hey, v. can i use oxtail soup broth? 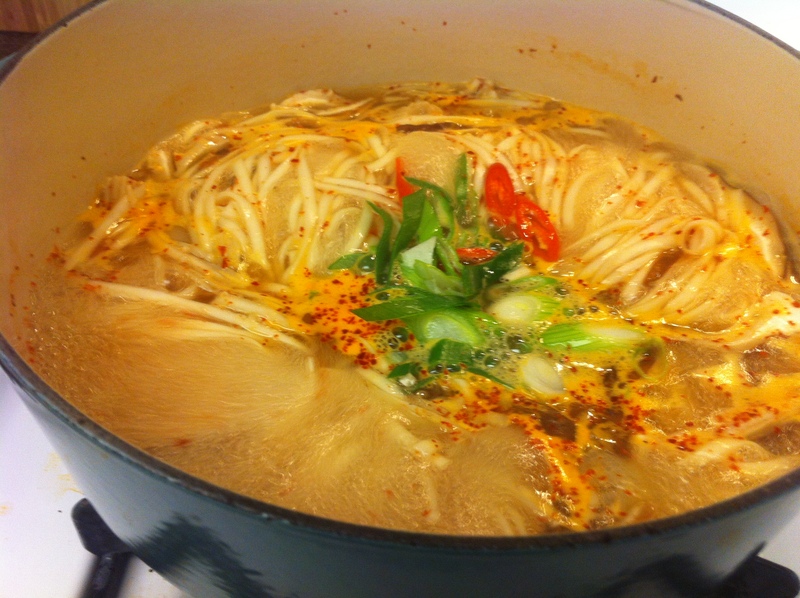 i made ggorigomtang, and we had it yesterday and was planning on using it for mandoo guk, but you think the kalguksu would work, too? Yes- what a great idea! 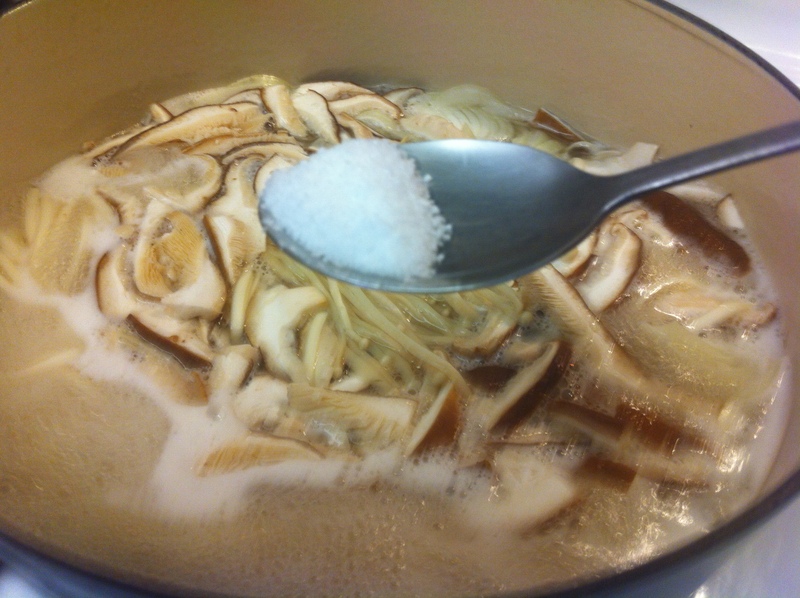 Simply remove the bones from the kkori-gomtang. It will look even better if you garnish with the meat on top. 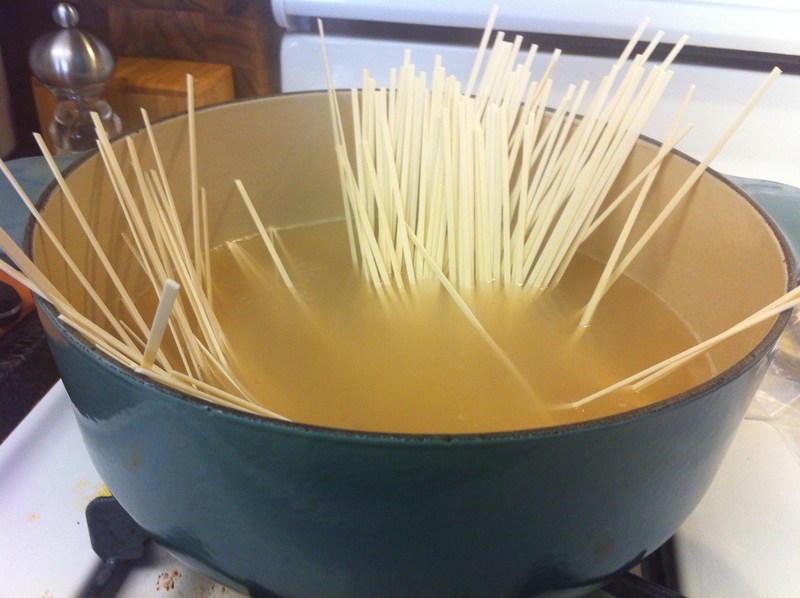 If your broth is too thick, simply add a little water.